1. The Orchard Oriole is the smallest species of oriole in North America. They are sometimes confused for warblers, due to their small size and bright coloration. 2. The oldest known Orchard Oriole was a captive female who lived to be nearly 17 years old. 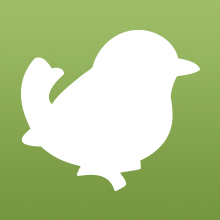 The longevity record for wild birds is 10 years, 11 months. 3. 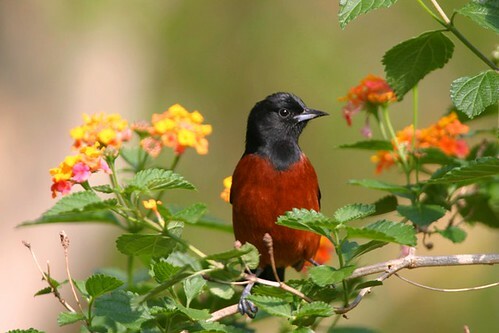 Besides insects, berries and seeds, Orchard Orioles will feed on trumpet creeper nectar. They will also visit hummingbird feeders. 4. Adult male orchard orioles are predominately chestnut in color. Females and juveniles of both sexes look very different, with olive and yellow plumage. 5. Orchard Orioles migrate at night. They are early migrants, leaving their breeding grounds as early as late July. 6. The Orchard Oriole is one of our cute Birdorable birds! The Orchard Oriole was added to Birdorable on February 19th, 2009. 3 comments on "Orchard Oriole Fun Facts"
Awesome!I never knew that! I love this website now! That bird came up on random bird!